Point Park University has hired Joe Lewandowski (6'6''-F-74, college: Slippery Rock) as men's basketball interim head coach, announced Director of Athletics John Ashaolu. Lewandowski has been steeped in coaching basketball for many years, and he takes over the Pioneers' program ahead of the upcoming season. Point Park's first game is Nov. 1 at home versus Wilberforce (Ohio). Ashaolu is pleased to bring aboard Lewandowski, a coach who has several years of experience coaching a variety of basketball teams and organizations. Lewandowski steps in after previous coach Gabe Bubon took another opportunity this past summer. 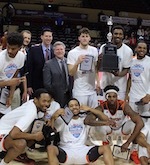 At the conclusion of the 2018-19 season, a full search will take place for a permanent men's basketball coach of the Pioneers. 'Joe Lewandowski has coached and developed basketball players at various levels including college and professional. I'm looking forward to working with Joe as he provides our men's basketball team with direction and structure in the classroom and on the court through this transition period,' said Ashaolu. 'His experience and expertise will provide our student-athletes with an opportunity to improve their skills and compete at a high level.' 'I am excited to work with the young men of Point Park University men's basketball,' said Lewandowski. 'Point Park is a school with a long tradition of basketball. I look forward to leading these men as they move forward into the future. Our job is to develop them into good citizens and help them further their personal journey.' Lewandowski's coaching experience includes being involved with USA Basketball for many years as well as coaching on the AAU level as the founder of several successful programs such as the Pennsylvania Keystone Flash Basketball Club. His experience also includes serving as the head coach at Butler High School and Deer Lakes High School and as an assistant coach at Butler County Community College. With USA Basketball, Lewandowski has served as a regional head of youth development programs teaching high school and youth coaches the best teaching methods. His time with USA Basketball also includes serving as the national team head coach for Team USA's men's and women's basketball 3x3 teams since 2012. The USA women's 3x3 team has claimed two gold medals at the World Championship during that time, and the men's team has a silver medal. Lewandowski has also been a featured speaker at USA Basketball camps for several years. He has also been a coach with John Lucas Basketball Resources since 2011. 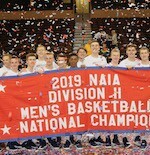 In AAU basketball, Lewandowski has led PK Flash team members to several NCAA Division I basketball scholarships and taken the program to two national championships. He has also founded several other youth basketball programs. Lewandowski played basketball at Slippery Rock University from 1995-97. He started his college basketball career at Butler County Community College, where he was a junior college All-American. He went on to lead Slippery Rock in scoring and rebounding. Lewandowski was also an academic all-region selection and a two-year team captain at Slippery Rock. After college, Lewandowski played two years of professional basketball in Denmark.